Just a month following the devastation brought by Hurricane Irma and Maria in the Caribbean, affecting millions of people, the small Caribbean islands are left with no choice but to build back better and stronger as frequency of storms is turning into the ‘new normal’. This has been a particularly active hurricane season with a record of 10 consecutive storms growing to hurricane strength. As the Caribbean delegations met with international partners during the World Bank Group- IMF Annual Meetings earlier this month, one of the main messages was that disasters like these can be a turning point to build more resilience and plan for a more sustainable future. Grenada Prime Minister Mitchell recalled how Grenada was determined to build back better after Hurricane Ivan in 2004. “Where there is a crisis, let’s not make it go to waste”, he said. Every year, natural disasters trap some 26 million people in extreme poverty around the world. In the Caribbean, eight countries experienced a disaster event with an economic impact of over 50 percent of their annual GDP since 1980. The main difference for such small islands is that the entire country can be impacted, with every single inhabitant affected by the storm. Early estimates of damages after Hurricane Irma point to about 15 percent of GDP for Antigua and Barbuda, where more than 90 percent of the infrastructure in Barbuda has been damaged and most of the electricity and telecom network need to be rehabilitated. 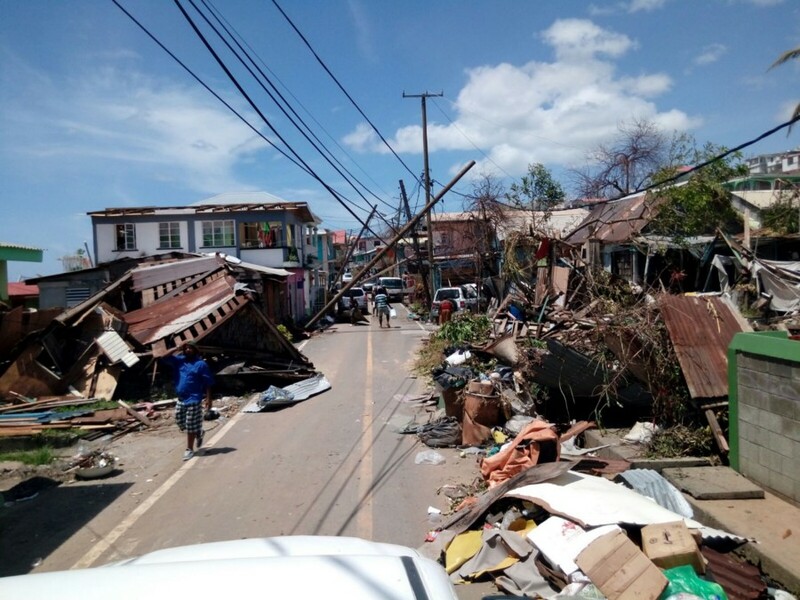 In Dominica, the damage assessment is ongoing, but losses are estimated to exceed US$1 billion or 200 percent of GDP losses following Hurricane Maria. So, what will it take for the small island states of the Caribbean to become more resilient and sustainable following the recent hurricanes? "“We have no choice…Because we cannot relocate our island. Our island will always remain in the hurricane belt,”"
As Dominica and other islands are setting their priorities for rebuilding economic and social resilience, World Bank President Jim Yong Kim and CEO Kristalina Georgieva called for the need to mobilize innovative sources of risk financing and review the policy on concessional finance for small states affected by these storms. “At the World Bank Group, we are fast-tracking our response. We’re working towards providing a financial package of about $100 million for Dominica, including accessing the IDA crisis response window. For Antigua and Barbuda, we’re preparing a new $40 million emergency recovery operation”, said World Bank President, Jim Yong Kim. Reconstruction is an opportunity to build better, with structures able to resist high winds, and roads, bridges, and electric grids able to withstand the next storm. In the immediate aftermath, helping people cope with the shock through cash for work or adaptive social safety nets allows people to get back on their feet. However, in the case of small Caribbean economies already burdened with high vulnerability, low growth, and high debt, it is important to also think about innovative sources of financing including: mobilizing innovative risk financing tools to better manage fiscal risks, and leveraging the private sector in finding solutions. As the countries focus on building back stronger, this is an opportunity for them to become the new champions for resilience and climate adaptation.